As a strategy - I select my working tools only after making sure they have a solid mobile version so I can be on top of everything 24/7, regardless to where I am. This gives me the option to control almost 100% of my work and personal activities straight from my smartphone, whenever or wherever I am. Many of these apps are not new. Some have millions of users, and yet many people I talk to are not familiar with many of them, so I decided to create a list of all the important apps I use. You won’t find Facebook, Twitter, Uber or Waze in this list as those are too basic. My all time favorite mobile app. In short - Pocket lets you save articles for offline reading. In long - it’s the best ‘read it later’ solution and a practical solution for the ‘too-many-open-tabs’ syndrome. It lets you store websites, documents, emails, and practically everything from everywhere and have it ready when you have time. My favorite feature: listening to my articles while I drive. If you don’t know Medium, well… you should. Medium is the next stage in blogsphere evolution. The product is amazing, the content is great, and the mobile app is one of the best apps out there. MeisterTask is exactly like Trello but it has a slightly better UI. This is why I placed it one place above Trello, because what’s more important in a tool that practically manages your entire activities than making it easy and fun to use? MeisterTask is yet another Kanban board, but the web, mac, iOS and recently Android apps are simply much better than anything else in that space. What excel did to spreadsheets, Trello did to Task Management. One of the best productivity tools ever, especially when dealing with small teams (1-10). Trello can turn any process into a visual and manageable one (tasks, bugs, customer service, user stories, and more). With Missbeez you can easily order lifestyle services to your home or office. 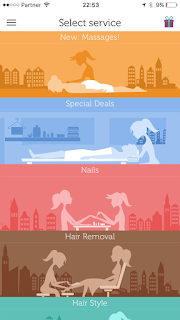 Just select a treatment (a haircut, a massage, or even mani-pedi), pick the time, and a highly experienced professional will arrive to you, hassle free. 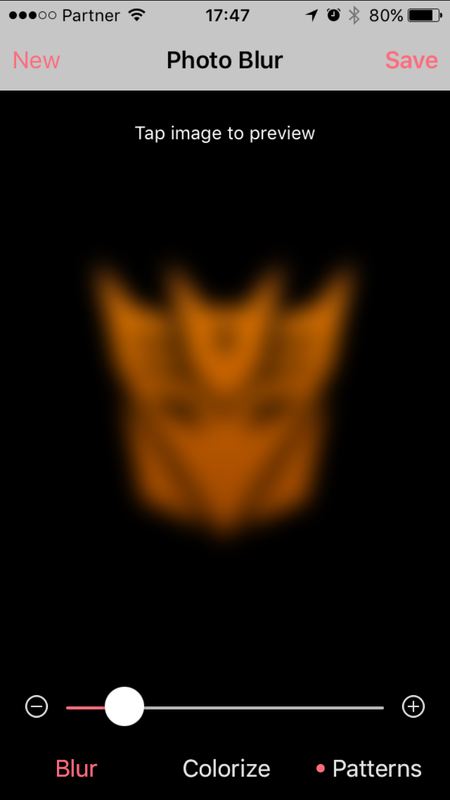 (Disclosure: I’m actually the co-founder of Missbeez, but hey, I’m pretty sure I’m totally objective about this one…). 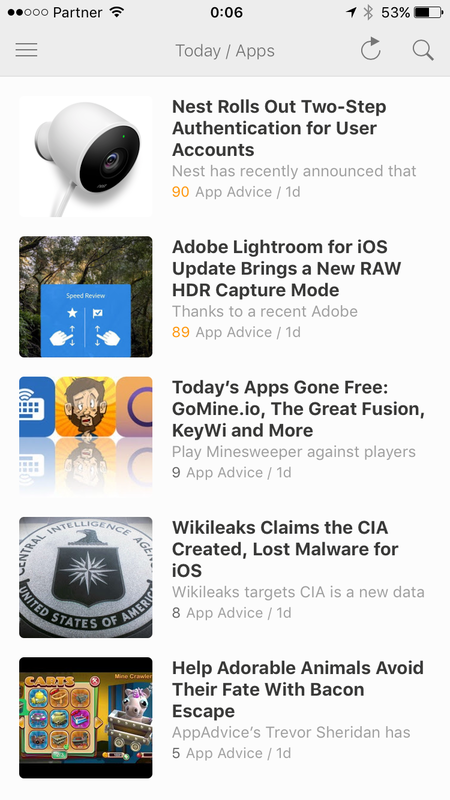 I think Product Hunt was created for app addicts like myself. What’s better than exploring a fresh list of new apps every day? Product Hunt is a great place to keep up with new productivity apps, useful tools, startups, and more. Feedly is an old school RSS reader (and I hope no one there is offended by me saying that, as it’s really great). It’s the fastest reader I’ve ever tried and doesn’t get scared by a gigantic list of RSS source. It has been around for years and even though it doesn’t get updated often, it’s still the best reader out there. A cool little app that lets you define your interests and get a collection of 60 word summaries of the news. 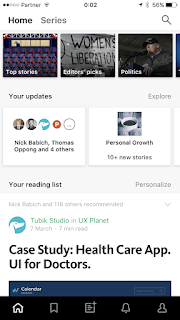 A perfect tool for busy people interested in really short summaries of their personalized news feed. I bet you all know Quora and use it occasionally when it appears in your Google search results. 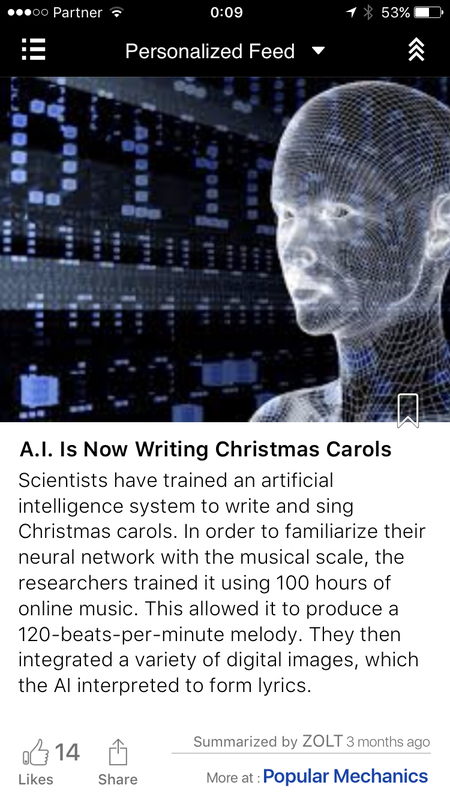 I use the Quora mobile app (and the website) because I found that for certain topics - Quora provides a better and faster answer than Google. Karma is a nice forum for entrepreneurs: you can ask questions, ask for assistance or provide it to others. The TED mobile apps the best way to listen to TED Talks. These days you cannot be involved in software development without using Slack. Of course, you cannot be a Slack user without having it installed on your smartphone. Because all your files should be stored in the cloud and be accessed from your mobile 24/7. I’m a huge fan of modern productivity tools, but when I need a serious report with pivots and distinct counters - I go to Excel. Even in 2017, and even for iPhone - Excel, Word, and PowerPoint are the best Office tools available. My favorite feature: being able to run my animated 200 MB slides deck perfectly on my iPhone and practice my session while on the move. When people invented the term ‘killer feature' - this is exactly what they had in mind. Only if you really need a todo list, and only because Wunderlist didn’t get any significant update since it was acquired by Microsoft. This one is relevant for Apple users only - Apple Notes has the best synchronization, better than Evernote and all the other folks. This allows me to work on 2-3 devices in parallel and continuously maintain my notes without ever having to wait, click the sync button, or solve a conflict. If you're an admin in your company, and uses Google Apps - then this little app is extremely useful for managing admin tasks while on the move. If you're an admin in your company, and uses Office 365 - then this little app is extremely useful for managing admin tasks while on the move. I find the app to be much nicer (and faster) than the website version, so I always make sure to have it with me wherever I go. Once you define your 3-4 important reports you can access them with 1-2 taps. That’s the fastest and easiest way to get those stats. Same as google Analytics, with a slight advantage in mobile apps. 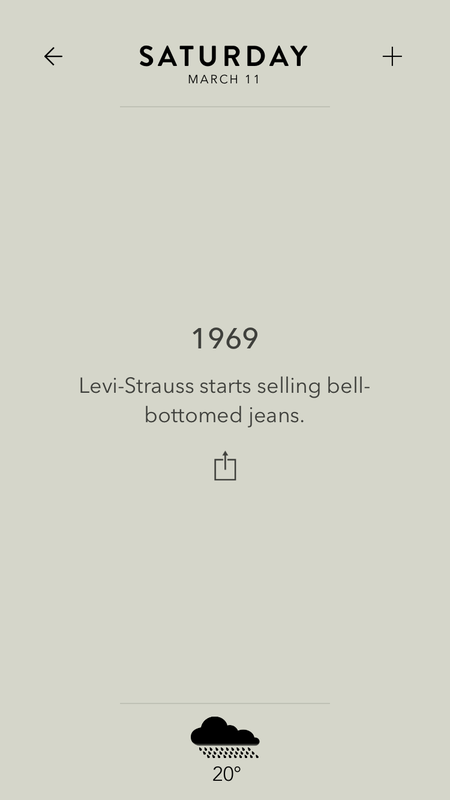 This is a relatively new app and keeps getting better with some useful real-time conversion changes alerts and more. If you are developing (or testing) iOS apps you already know you can’t get far without these guys. If your product uses one of Fabric’s SDKs (now part of Google) - you will enjoy getting all sorts if interesting statistics straight to your smartphone. We use Crashlytics and the mobile app provides all the important stuff we need whenever a new crash is found. Because you never know when you’ll need to promote a post or answer a nasty comment. Social activities happen 24/7, on an hourly basis, so having access to these capabilities form a smartphone just makes sense. 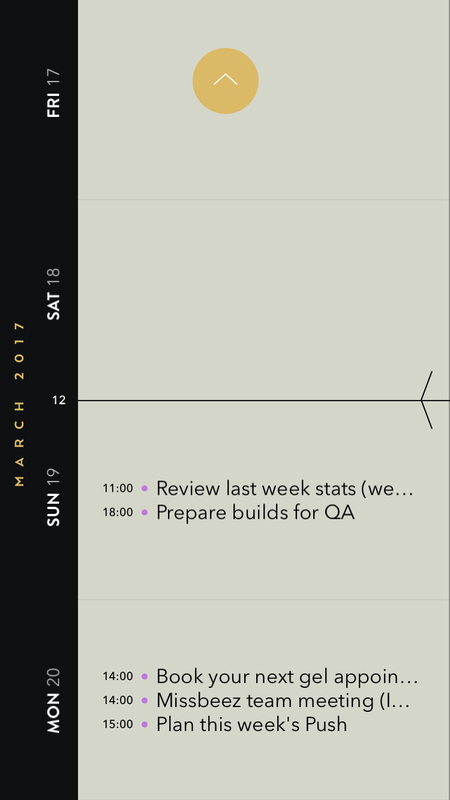 Let's say you encounter a bug in your app: you take a screenshot, open PinPoint, draw some lines/text on top of it, and attach it to a Trello card. Easy. Only if you are tired of Skype and want something new. Got an interesting email or lead from someone you want to do business with? CrunchBase is a great place to find the information you won’t always find on LinkedIn (founders, investors, connections, innovative startups and the people behind them). 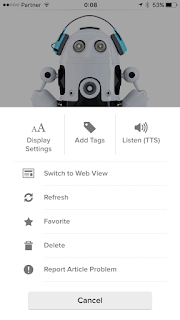 If you have a blog and want to manage it and post from your smartphone than WordPress is an amazing app (for WordPress) and BlogTouch Pro does the trick for Blogger. Notion is probably not as famous as other email apps, but it’s definitely my favorite. It’s has the best UI, and when you spend so much time using an app - you want a good user experience. It has a really smart way of cleaning low priority emails semi-automatically. It has a ‘Radar’ view that keeps track of all open threads that require follow ups, answers and other activities - automatically. 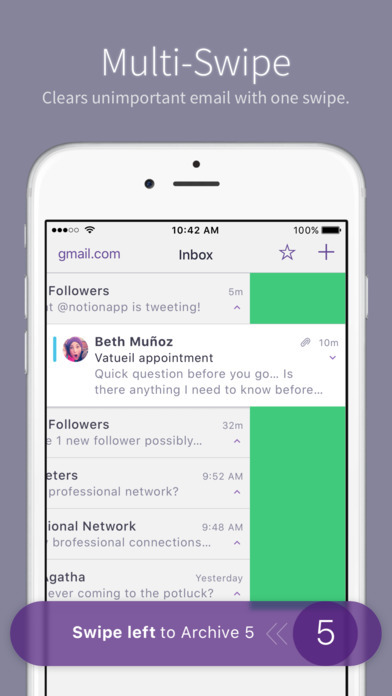 So if you are looking for winning email app - I strongly recommend you give Notion a try. Let’s admit it: most of us have at least one old gmail account we use to sign up to services. It usually gets spammed and becomes a mess. 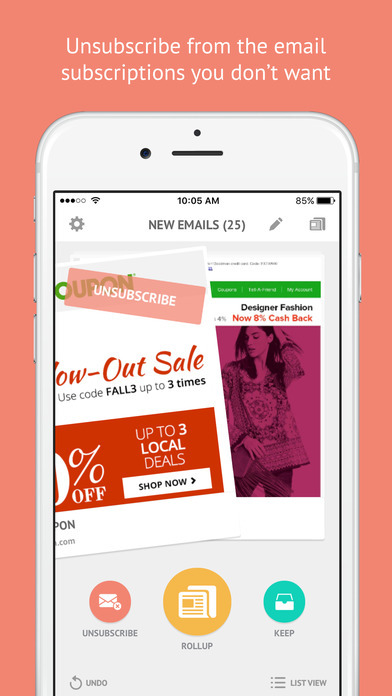 Unroll.Me lets you unsubscribe from annoying newsletters in "tinder-style" swipes. Just swipe left to unsubscribe, or right to keep. It's the fastest and easiest way to clean your spammy inbox. Microsoft is turning Outlook into an ‘all-in-one’ email app including a calendar (some of the sunrise legacy) and a contact list. I am not a huge fan of multi-functional apps on mobile but the email part is still one of the best ones out there. 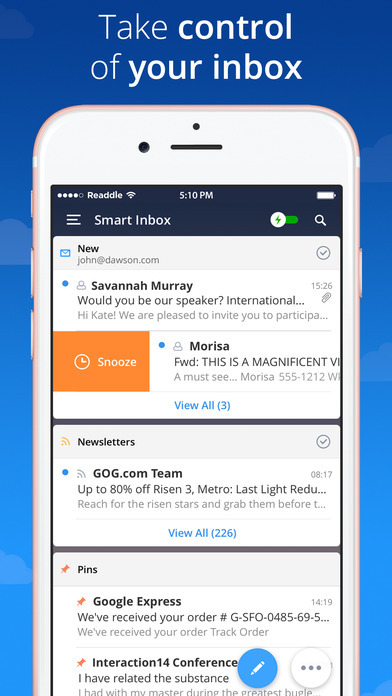 Spark has some really cool features that can help you manage your overflowing inbox. Although I usually don’t use it on my iPhone - I recently discovered that the desktop version is simply amazing. Check it out, you might find the solution to your ever growing inbox. I still haven't gotten over the early death of Sunrise. 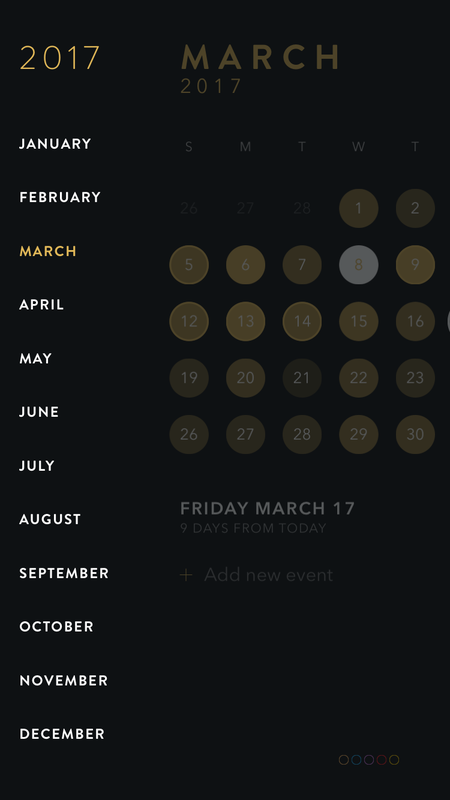 I tried around 15 different calendar apps since and can honestly say none of them are quite as good as Sunrise was. Timepage is the best looking app in the history of all mobile apps. And I'm not joking. Created by Moleskine (the notebooks dudes) - Timepage is a must have app for anyone who has anything to do with software or just design. It’s unique, it has the perfect animations and gestures, it's colorful, it's amazing in every aspect of it. It's a university of UI. Only problem is - it’s kind of weird, which means you might get all excited at first but not sure you'll actually use it. If you are using Google Apps then using Google Calendar on your smartphone makes a lot of sense. Google Calendar is not even close to Sunrise but some people prefer it over the default iPhone calendar app. 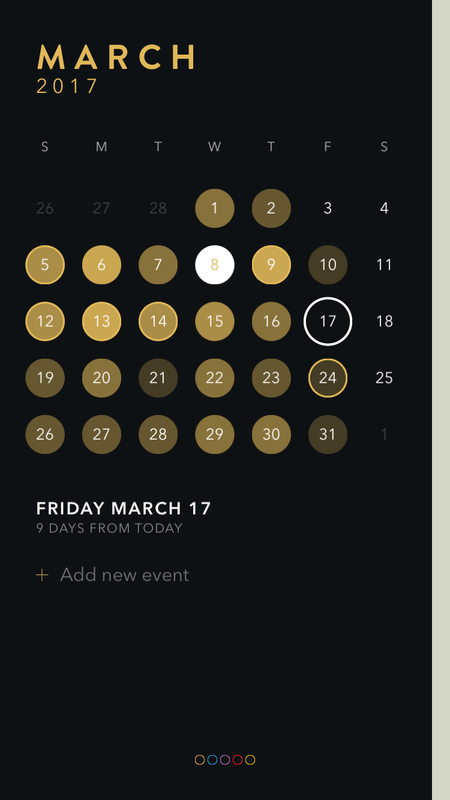 A nice alternative to the standard calendar app, Tiny Calendar has no less than 8 great looking views that show the schedule. The meetup mobile app lets you follow, register, participate and get more out of meetup groups. A must have app for anyone who likes meetups. For events and conferences - the Eventbrite app can really become helpful. The app allows you to register, see the agenda, speakers, participants, and much more. 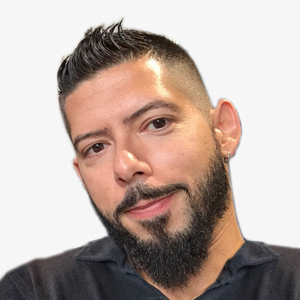 There are hundreds of contact managers out there, Simpler is the best one I found so far and a totally free one. 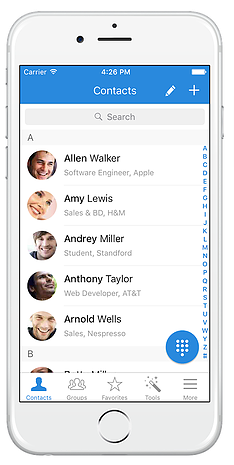 If your contacts list is messy, includes duplicates and other crap - Simpler will do the trick. Popup ads are twice annoying when you're browsing with your smartphone. BlockBear is a great little app that will protect your iPhone from any unwanted popup ad. A great little tool to store your copied text inside a widget. Copied keeps a history of your clipboard so that whenever you wish to paste multiple stuff - it's there for you. A cool tool that stores those little things you keep forgetting, such as your car registration plate, departure gates, addresses, and more. 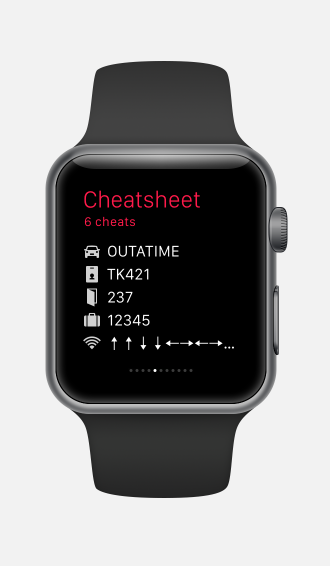 Cheatsheet stores it on both your iPhone (widget) and your Apple Watch so the data is super easy to access. If you don’t have it yet… well, dude, you are weird. God how I love IMDb! I can spend hours reading about new movies, find out where the actors played previously, and get all the information I need before (and while) watching a movie. If I need to pick 10 apps to take to a lonely island - IMDb is definitely one of them. The only app in the list that isn’t really an app (due to "cost of licensing the music information"). 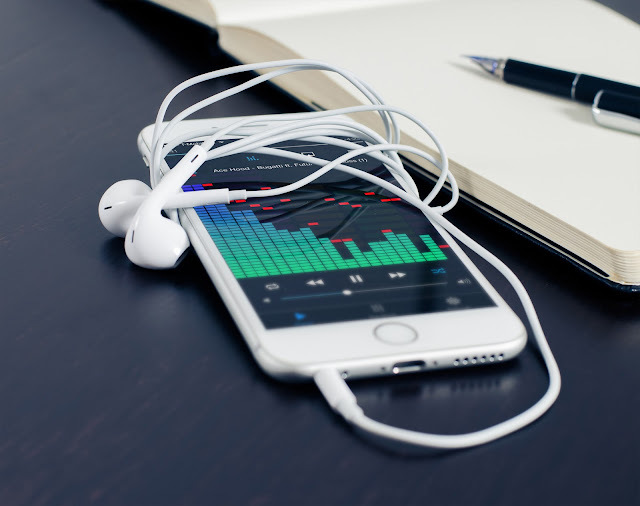 AllMusic is the IMDb of music, so if you care about your music, your favorite artists, their records, their discography and followers - navigate to www.allmusic.com and save the link to your home screen so it’s almost like using an app. Because a native app is always better than using the website. There are many workout apps - I like Gymaholic the most. It's totally free and provides a very good set of functionality packed inside a great UI. Oh, and there’s also a bonus: an Apple Watch app that actually takes control over your gym training. Cool. GifsArt is a fun app to create animated gifs. 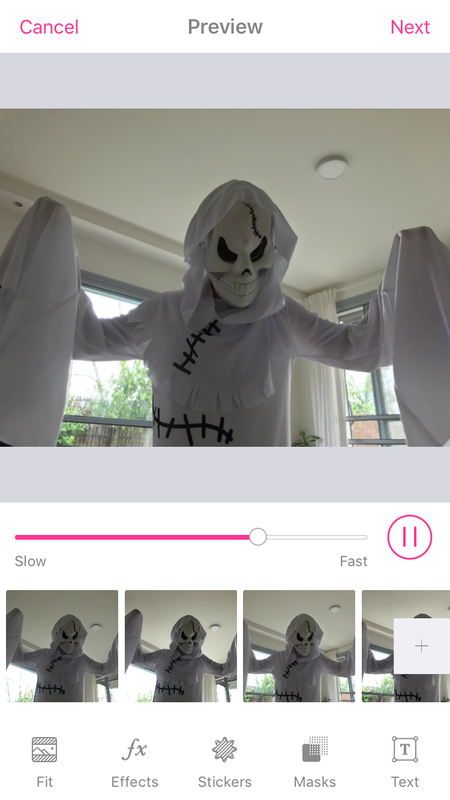 The app I use when I want to turn a collection of photos into a great looking gif (including texts, special effects, stickers and more). Easy to use, features rich, great sharing options. Turns any photo into a piece of art. This app has 1 use only: take a photo and add a blur effect. I use it when I want to turn a photo into a wallpaper, but want it to look sharp on the lock screen and slightly blurred on the home screen. 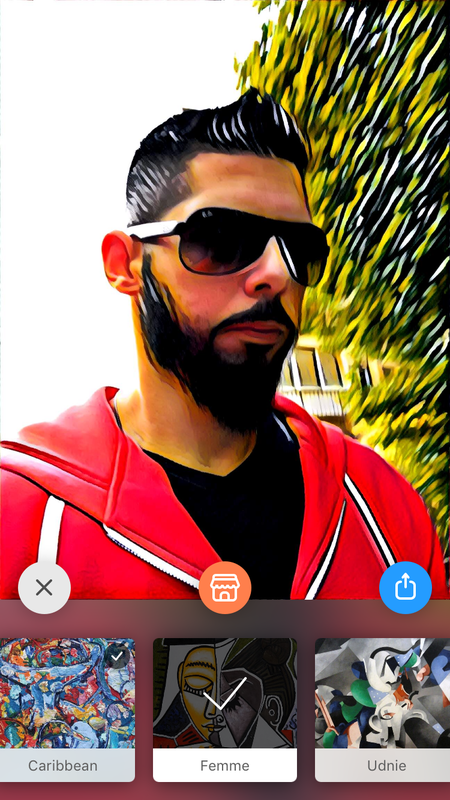 Canva is another great photo editing app. It has a wide range of features, but the ones I like the most is adding elements on top of my photos. Easy, simple to use, and totally free. 50 mobile apps that would turn your iPhone into a productivity beast. A remote control to your entire world.